It depends of the use… Would you like to build a garage attached to your house, a garage in your backyard, or even a garden shed? We carry Garaga garage door models from 4 to 20 feet wide, to the nearest inch, so you’re sure to find the size you want. One of the great advantages with Garaga garage doors is that, since each door is custom made, you won’t be charged extra to get the exact dimensions you need. 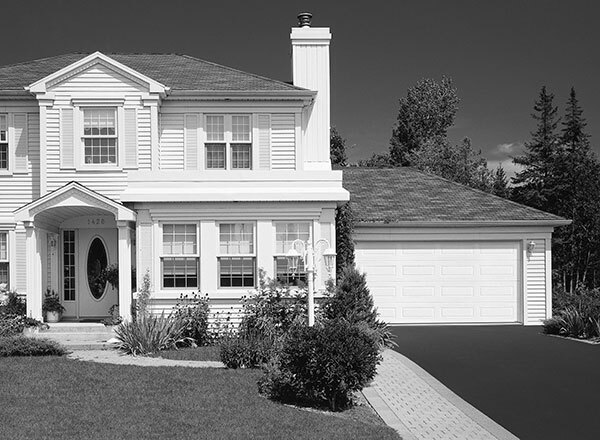 For an approximately 12’ x 22’ detached garage or one attached to your house, the most common width is 8 or 9 feet. As for the height, it is 7 or 8 feet. However, in terms of height, it can go up to 12 feet to accommodate an RV. The ideal size for an 8’ x 14’ garden shed is a 6’ x 6’6" garage door. 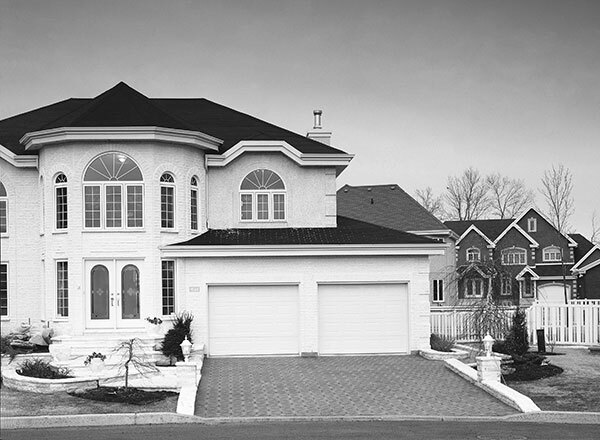 For an approximately 18’ x 24’ detached garage or one attached to your house, the most often seen width is 16 feet. For height, we are talking about 7 or 8 feet. Depending on your needs, the height can go up to 10 feet. Two single garage doors or one double garage door? When you have a double garage door and it is on the front of your home, the door becomes a major element of your home’s design. By putting 2 doors, you put less emphasis on them, giving more balance between the garage doors and the rest of the house. It is all a question of taste. If, for one reason or another, your 16-foot-wide door cannot open, two cars could be stuck in your garage. It’s almost impossible for the same situation to arise if there are 2 doors. If you live in a place where winters are frigid, opening a double garage door lets more cold air into the garage, quickly dropping the interior temperature. Less cold air enters if you only open a single door. The price for two single doors comes to practically the same as for a double door. This being said, if you want electric openers on both doors, obviously two openers will cost more than a single one. Why choose a Garaga garage door? With made-to-measure garage doors, ranging from 4 to 20 feet wide (to the nearest inch) and 6 to 12 feet high (in 3-inch increments), you avoid carpenter fees for preparing the doorframe. You can have insulated doors, with thermal resistance factors of R-10, 12 or 16, so that your heated garage stays warmer, saving you on energy bills. Are you ready to get started tomorrow? Contact us now to help you plan your project. We can supply you with instructions on how to prepare your doorframe and the required clearances.